Operation Organization: Professional Organizer Peachtree City, Newnan, Fayetteville, Senoia,Georgia: Operation Organization by Heidi Featured on Organize Mindfully Podcast! 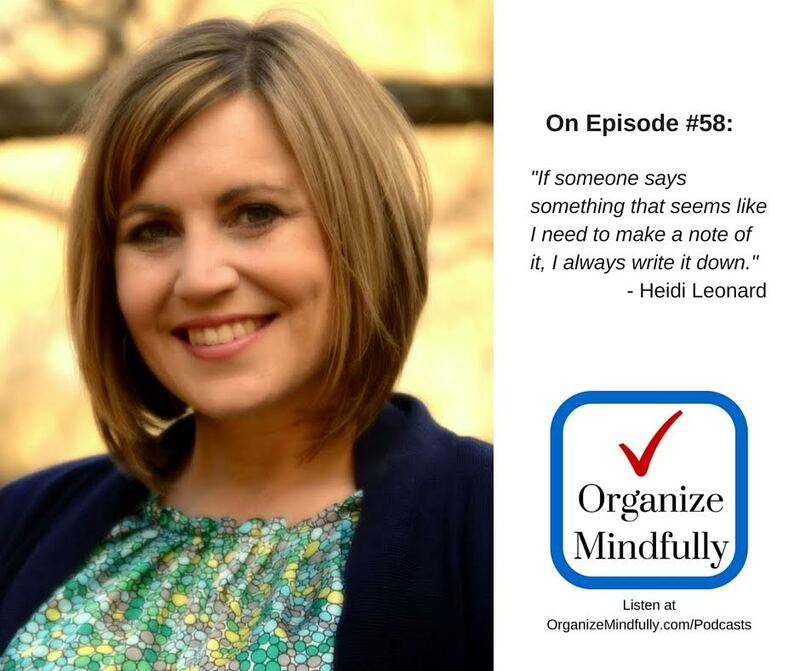 Operation Organization by Heidi Featured on Organize Mindfully Podcast! As a Professional Organizer, I'm always game for chatting about the many strategies for success in organizing. So, it was a distinct pleasure to participate in a podcast with Mark Dillon, host of Organize Mindfully. 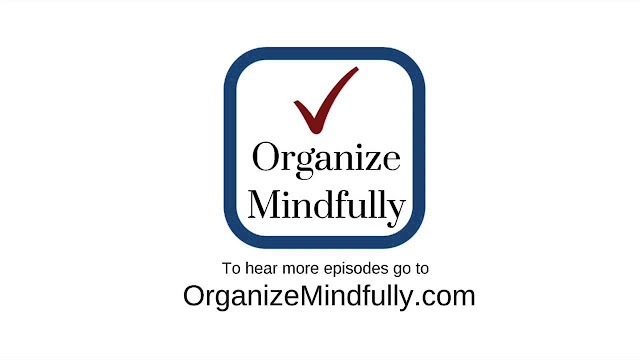 "Twice a week the Organize Mindfully Podcast brings you organizing professionals, designers, mindfulness teachers and people who are living an inspired and organized life. They share amazing insights, new ideas, tips & techniques so you can grow, gain inspiration and bring order to your life. From there you can accomplish anything. " One thing I wanted to expand on from our interview was what helps me shake out of an organizing 'slump', or how I can get motivated to get my motivation back after periods of rest. After further reflection, I recalled that what really helps me the most is the use of lists and creating habits. Utilizing task and to-do lists never fail to keep me on track. Creating habits around the use of these lists (a particular day or time to refer to the lists and / or the items on them) is a huge factor in getting / staying motivated. This certainly goes with the theme of the rest of our conversation that featured the importance of writing things down. By having a list of things I need or want to accomplish daily / weekly / monthly, the list can become my 'boss' or 'manager' reminding me and prompting me of what important tasks need to be done. A habitual day or time to refer to these lists serves to either keep me on track, or gets me back on track. Check out some FREE PRINTABLE CHECKLISTS that I created to help stay on track of recurring home management tasks. Mark produced a great follow-up episode to our discussion, expanding on how to keep track of things in your life on Episode #59 as well. If you enjoy expanding your knowledge on all things organizing or you'd like an outlet to hear from other organizational industry professionals, make sure to explore and subscribe to the Organize Mindfully Podcast! Operation Organization by Heidi provides customized organizing solutions to 'cure' your unique clutter challenge / condition. 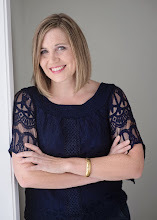 Based in Peachtree City, Georgia, This Professional Organizer serves clients one-on-one in the surrounding area of Fayette and Coweta County:(Peachtree City, Fayetteville, Tyrone, Senoia, Sharpsburg, Newnan, Brooks and beyond) . There are also specialized services to aid long distance clients with virtual organizing coaching services as well. Heidi you shared so much in that episode and to have this additional follow-up resource of your checklists....amazing! Thank you for it all!